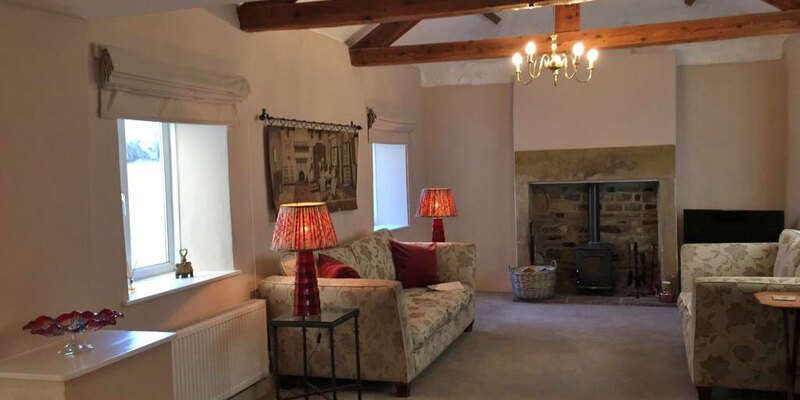 If you’ve never explored Masham, or you’re keen to renew your acquaintance with this delightful Lower Wensleydale market town, then Forge Cottage makes for a perfect base. Just off the market place but in a quiet and secluded spot, it offers you all the comforts you’d expect and a great deal more besides. The moment you step through the door you’ll be welcomed with some treats with the compliments of your hosts, Denise and Nigel, including a bottle or two of Masham’s most famous export – Theakston’s beer. 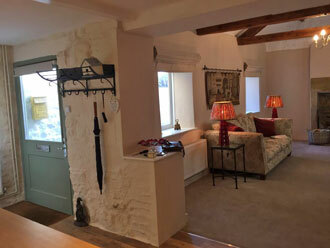 Forge Cottage is a little like the Tardis – unremarkable from the outside, but incredibly spacious and well equipped as soon as you cross the threshold. Set over two floors there’s everything you could ever need to make your stay an unforgettable pleasure. From the magnificently equipped kitchen with Emma Bridgwater crockery to a king size double bed with rich Egyptian cotton bedding, we really have thought of everything. The cottage is in a private courtyard reached through a large archway off the village square with plenty of parking nearby. One of the many beauties of the location is that everything you could possibly need is just a couple of minutes’ walk away including independent butcher’s and greengrocer’s shops, a village bakery, tea rooms, a post office and convenience store and a well-stocked Co Op. There are also four first class pubs in the town, a Michelin-featured restaurant and even no less than two traditional sweet shops. You’re also within striking distance of York, Harrogate and Ripon, not to mention one of the most picturesque areas of Britain which so inspired the artist JMW Turner on numerous visits during the early 19th century. And, however you choose to spend your days, Forge Cottage will always be a welcoming place to return to as our gallery of pictures <link> will show you. It has also been recently refurbished to the highest of standards to ensure your total comfort, whatever time of year you choose to visit. The gently rolling hills of Lower Wensleydale make it a paradise for cyclists whether you like to burn up the miles on the road or take to the trails on your mountain bike. Masham also has its own bike shop and repair centre, the wittily named Cycopath. Pop in and they’ll even be able to suggest a route or two. Good news. You’ll find yourself in some of Yorkshire’s finest walking country and there are plenty of suggestions for where to go in the information you’ll find in Forge Cottage. One particular highlight is the Crackpots walk, a 6.5-mile excursion whose route is marked by mosiac panels created by villagers from nearby Kirkby Malzeard. It takes in open moorland with long-distance views over to the Vale of York in the east and passes through secluded valleys and a variety of different woodlands. You’ll never go hungry in Masham, that’s a promise. There are two fine independent butchers selling locally-sourced meat as well a superb local greengrocer. But you’re on holiday so why not leave the cooking to someone else. At Vennells Restaurant fine dining awaits you while nearby, there’s the warmest of welcomes at The Bruce Arms. If you’re in the mood for pizza The Bay Horse comes highly recommended and no visit to Masham would be complete without taking a tour of the Theakston’s and Black Sheep breweries. Five miles down the road are the still-impressive remains of Jervaulx Abbey. Originally built in the 12th century for the Cistercian order it met its untimely end at the hands of Henry the Eighth during the reformation. It’s a serene place to spend an hour or two and there’s also an excellent circular walk to enjoy starting and finishing there and walking along the Ure valley. Also not to be missed is the Druid’s Temple – a mini Stonehenge built for local landowner William Danby in 1820. A more poignant attraction is the Leeds Pals memorial, erected in 1933 to commemorate the batallion’s tragic losses in the 14-18 war in an area where they did much of their training. Ripon isn’t just home to one of the country’s smallest cathedrals, there’s also Lightwater Valley theme park with some truly white-knuckle rides to “enjoy”. The most famous of these, “The Ultimate” is the longest rollercoaster in the UK. You have been warned!